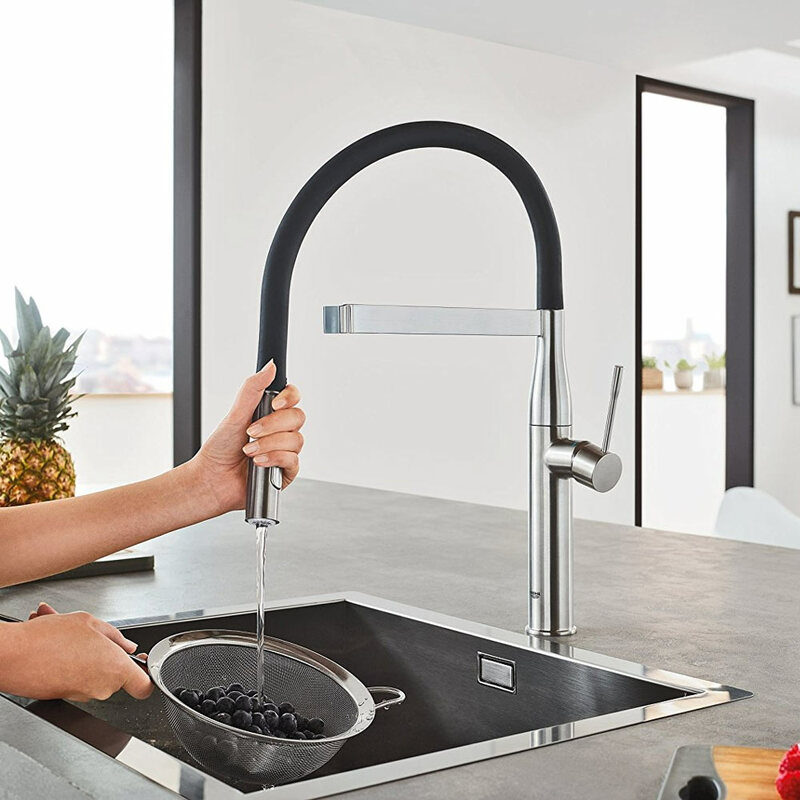 Get the style and power you've always wanted in your kitchen with GROHE taps. Save up to £50 when you take advantage of this fantastic cashback offer! Posted By Alan, 22nd Sep 2017. 4 Minute Read. 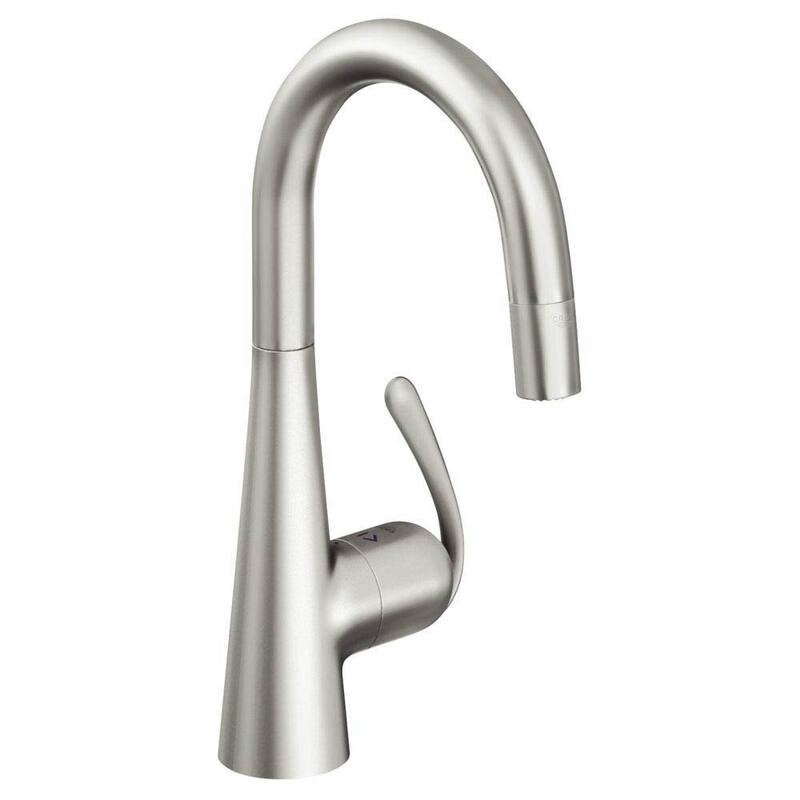 Which GROHE taps are eligible for this offer? Whether you’re remodeling your kitchen or just in need of some kitchen sink superpowers then we have some great news to share. When you buy one of the selected models from the GROHE range you will receive up to £50 cashback to spend on whatever you like, or if you like to be sensible, save away for a rainy day. 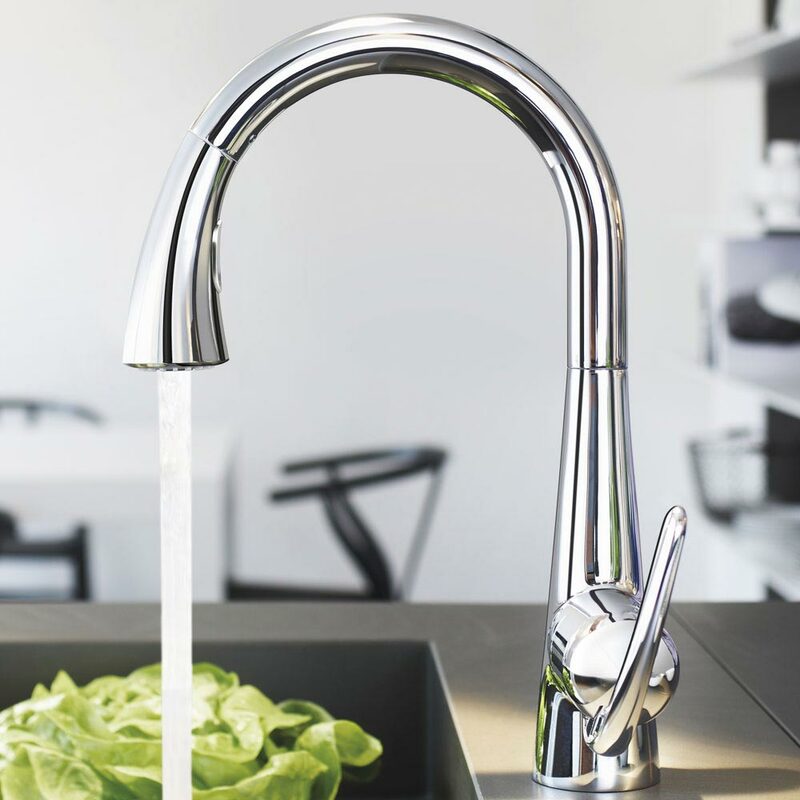 GROHE is synonymous with quality, performance and style, and anybody who has used GROHE taps before will know how true this is. 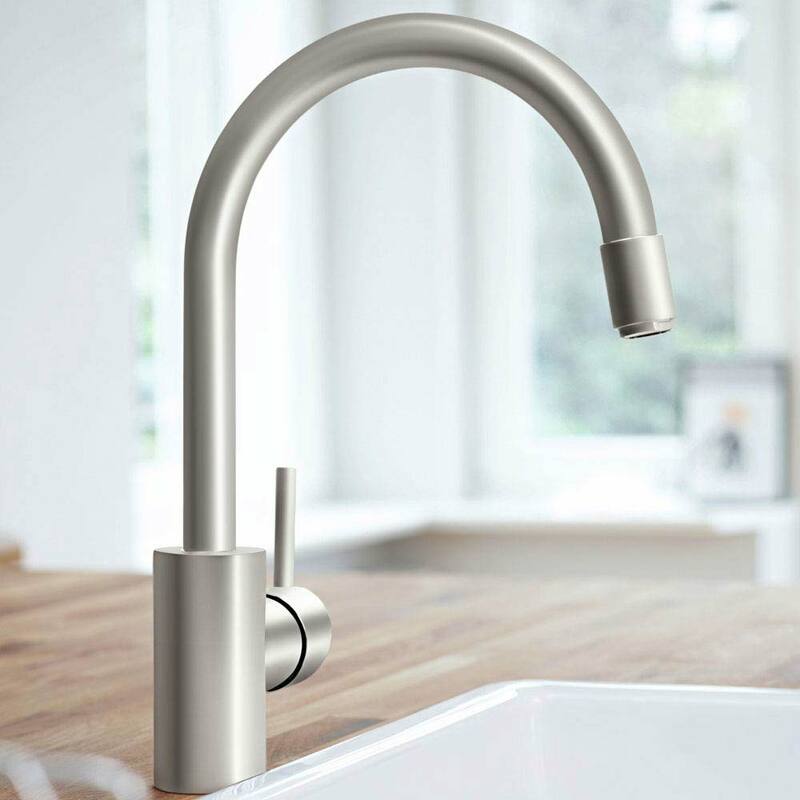 The offer is eligible on a selected range of GROHE kitchen taps. Models in the offer include Eurocube, Concetto, Essence and Zedra. 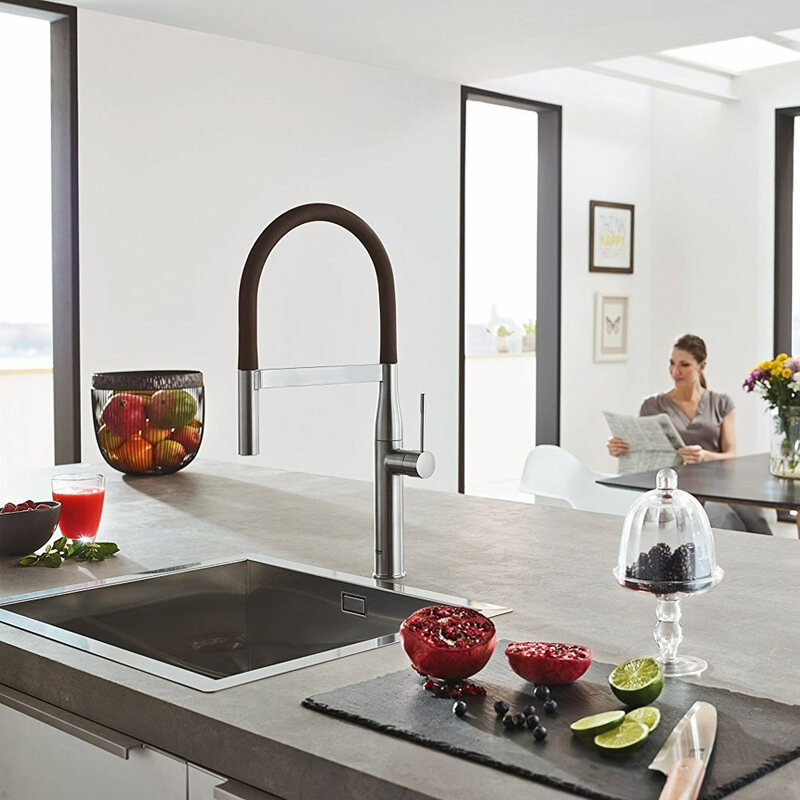 The modern design of GROHE Eurocube kitchen taps will transform any contemporary kitchen into a stylish room. The architectural shape oozes contemporary appeal whilst the solid, bold features and robust quality make it the perfect for those who spend a lot of time in the kitchen. 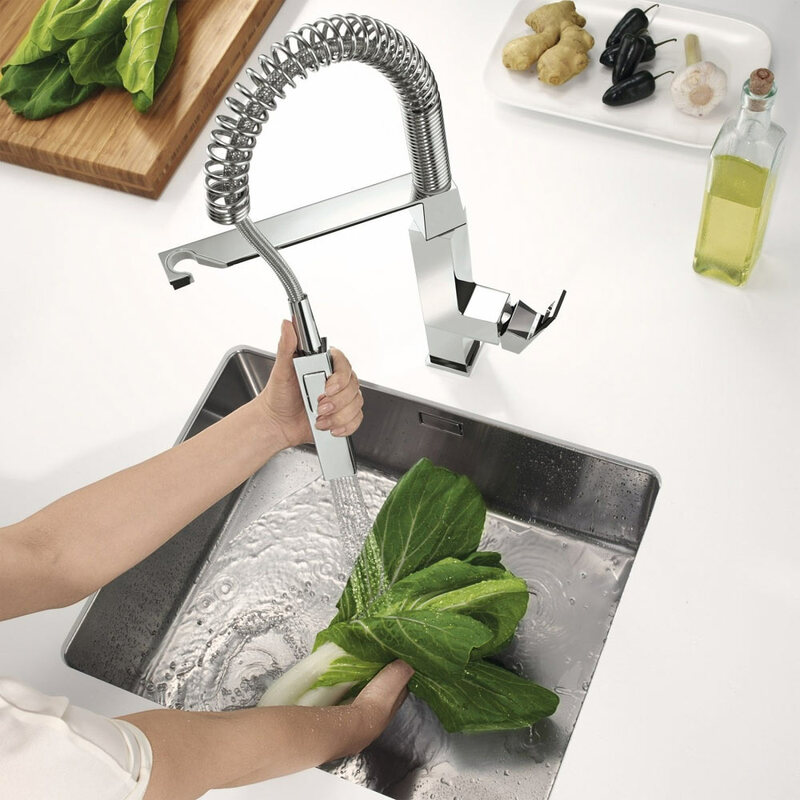 Style conscious cooks will absolutely adore the GROHE Concetto range of kitchen taps. 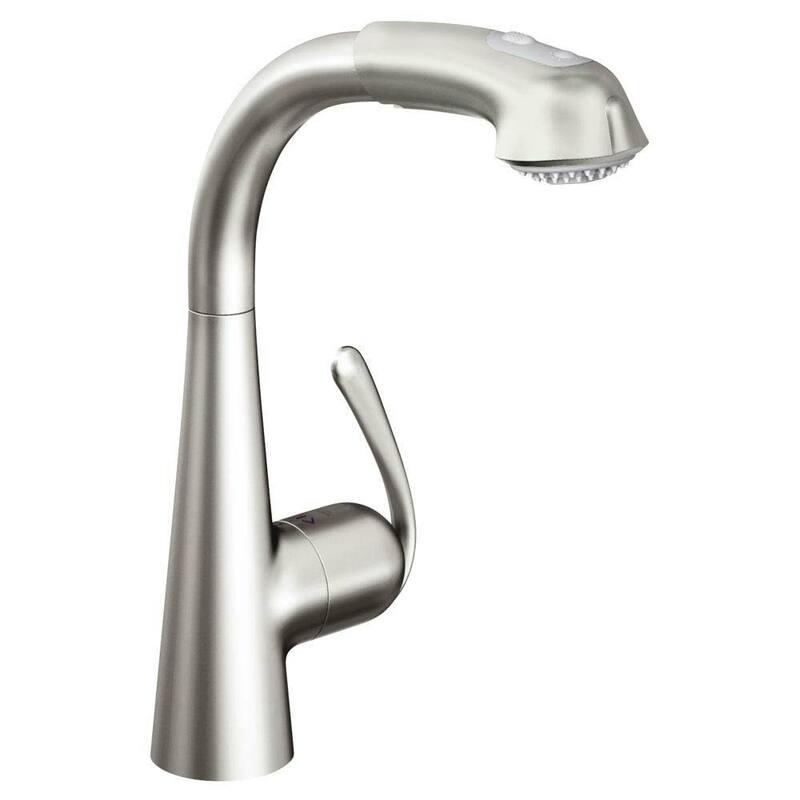 Bring the kitchen back under control with this practical pull out and spray tap. The Concetto is packed with smart features, making light work of dirty dishes and daily kitchen tasks a doddle. Get that professional style and performance with the majestic GROHE Essence range. 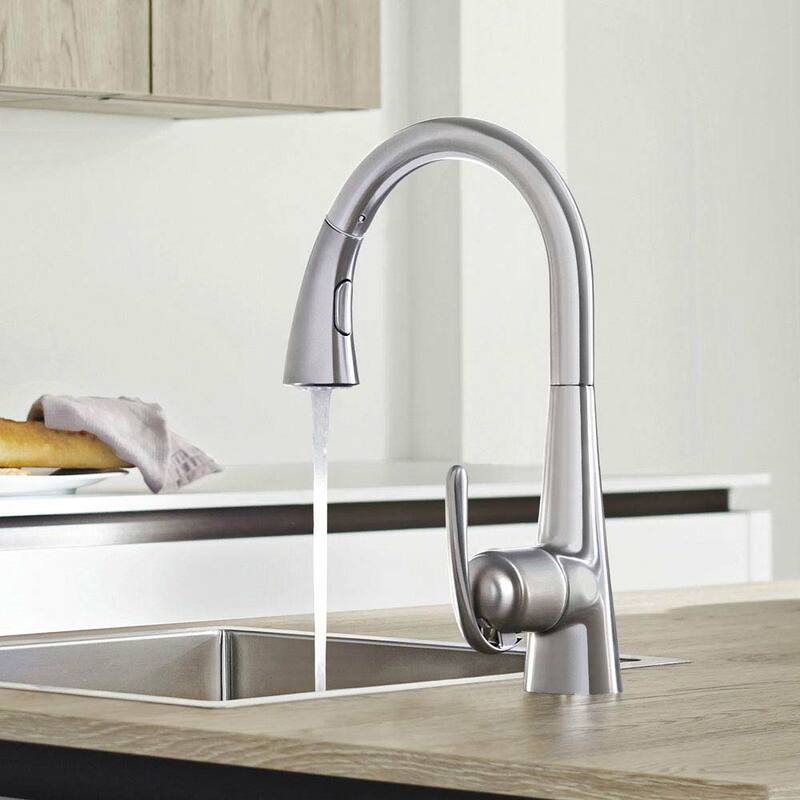 This range of kitchen taps combines some of GROHE’s best features with the latest style including 360° tunable arms and easy clean hose. Create a unique look and complement your kitchen’s colour scheme by choosing from a variety of colours and look out for the EasyDock M feature which makes great use of a magnetic system for effortless docking of the spray-head. 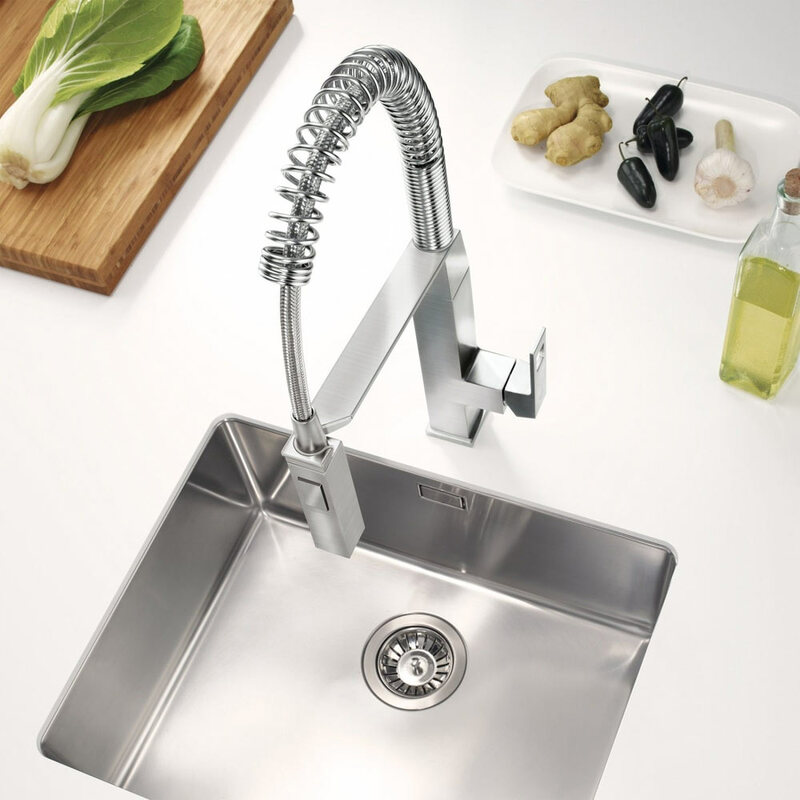 If a hygienic kitchen is your priority then the GROHE Zedra range is designed for you. 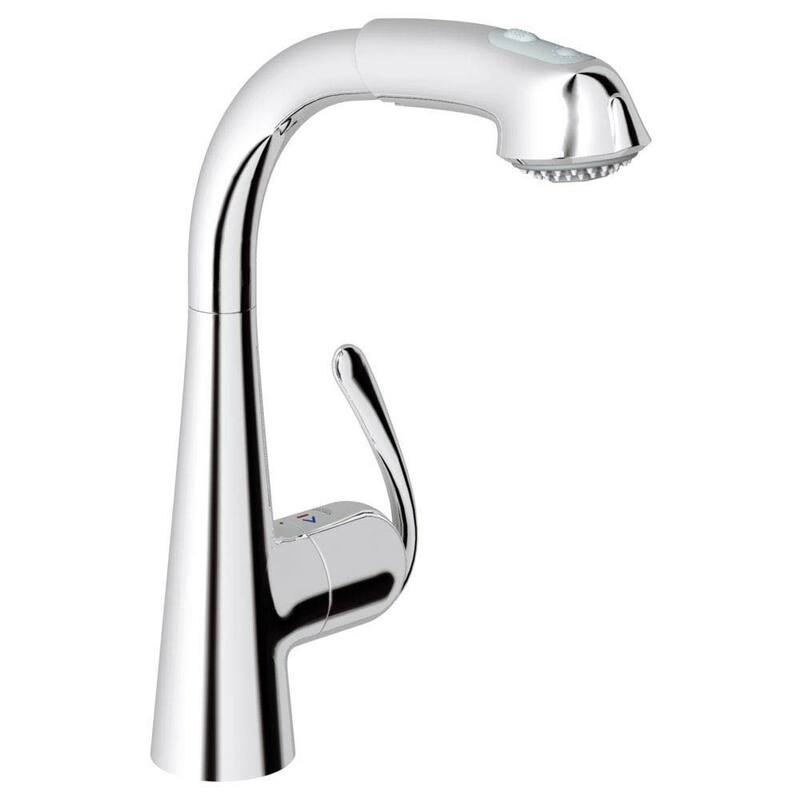 Easy clean features such as the SpeedClean nozzle allows you to remove limescale effortlessly whilst the RealSteel feature keeps germs at bay with its antibacterial properties. 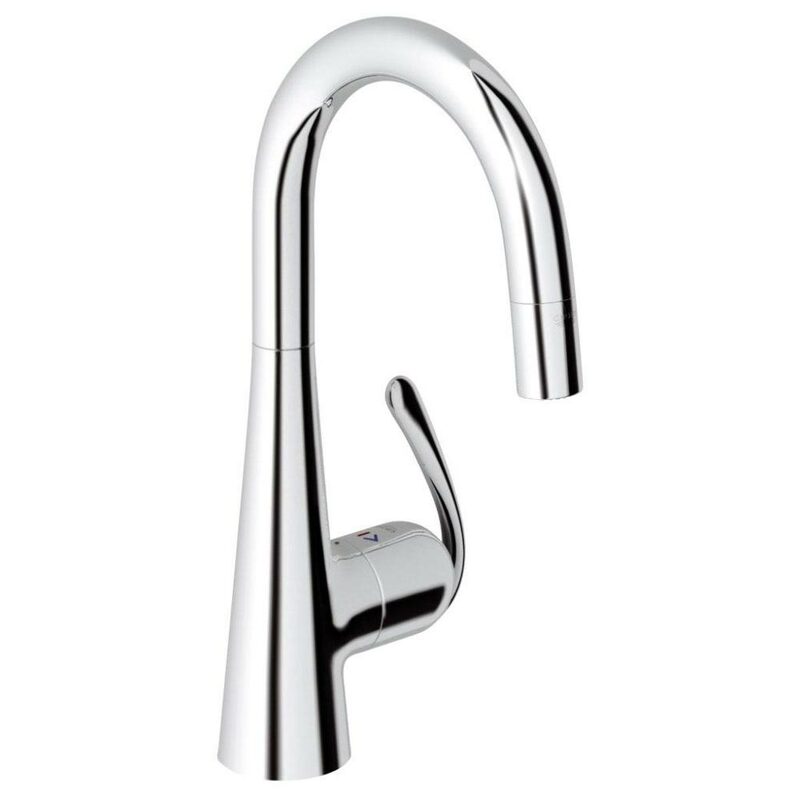 As always, the GROHE design and build ensures only the highest quality tap for your kitchen. Simply purchase your qualifying GROHE pull out spray tap from one of the options above and complete the cashback claim form on the GROHE cashback promotion page. This offer is valid on purchases made between 1st September 2017 and the 31st December 2017. 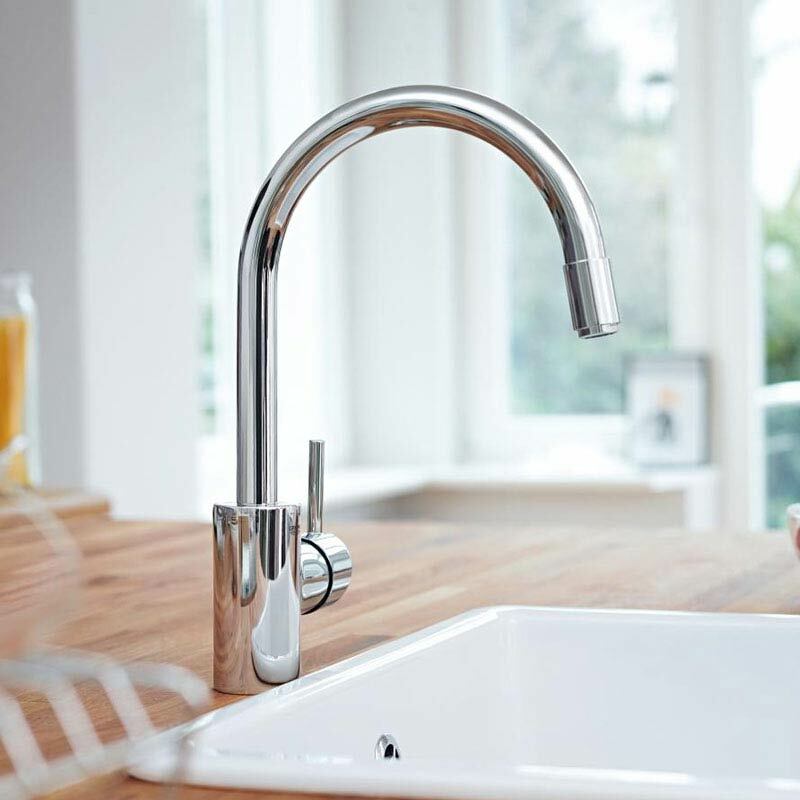 For the full terms and conditions and more details about how you can claim your cashback for your GROHE kitchen tap please visit the cashback offer page on the official GROHE website.